The Enterprise crew beams down to the planet Gamma Trianguli VI, and find what appears to be an idyllic paradise. They quickly discover, however, that the planet is deadly, sporting plants that shoot thorns, rocks that explode, and incredibly accurate lightning bolts all controlled by an intelligent computer named Vaal. "The Apple" is episode No. 34, production No. 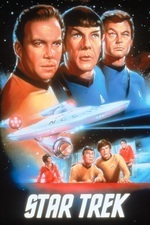 38, of the second season of the original science fiction television series Star Trek. Written by Max Ehrlich, and directed by Joseph Pevney, it was first broadcast on October 13, 1967 and repeated July 12, 1968. In this episode, the crew of the Enterprise visits a mysterious paradisical planet controlled by a computer that is served by the local inhabitants. 1. Of killing: "It is a thing to do, like feeding Vaal." A colleague of mine likes to start with this sentence when asked about practically anything. Heh. Interesting colleague. As for the kick, and the preceding flip, they're both painfully obvious stage-fight setup moves for the stunt man to flip himself (and boy, did women get kicking and banging guys on the head with pots as fight moves, back in those days). This is yet another iteration of a classic John W. Campbell theme that so many TOS, and a few TNG, episodes took out for a spin. Two, really -- the machine controlling a culture, and a culture on some sort of perpetual motion infinity run, the latter especially here suggesting the currently popular issue of Oceania cultures that turned into cargo cults after World War II, while missing the notion that even such "backwards" cultures can themselves evolve within the constraints that seem bizarre to us with our starships and/or jet planes. The more interesting question for me, a half century later, is how blinded we humans are in such encounters, and how often such stories reduce a people to the object of a parable. The culture in the opening scenes of Star Trek Into Darkness are a real throwback in that regard. This episode is not good for red shirts. According to this list, there are two episodes that match or beat this for the number of red shirt deaths, though they don't make every death unique like in this one. Also they set up this philosophical question of is it better to be free and grow and change on your own or to be under the control of the machine but be free of death and pain. What would have happened if they decided on the answer that contradicted what they needed to do to save the Enterprise?